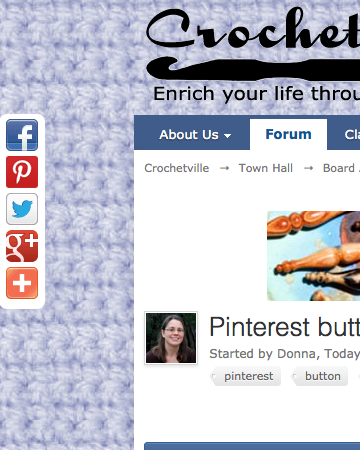 I've found a Pinterest button that works on the forum! 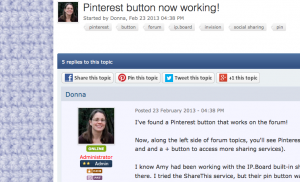 Now, along the left side of forum topics, you'll see Pinterest (along with Facebook, Twitter, Google Plus, and and a + button to access more sharing services). I know Amy had been working with the IP.Board built-in sharing buttons and couldn't get Pinterest to work there. I tried the ShareThis service, but their pin button wasn't picking up the image(s) in a post. Then I tried AddThis, and it's working, yay! Unfortunately, I can't see the AddThis social buttons on my iPad. I think they should work there, so I'm looking into that problem. Working! If you can't see the buttons, let me know what device and browser you're using. I've kept the forum's built-in sharing buttons at the very bottom of each forum topic (thread), and that list of buttons still doesn't include Pinterest. Thank you, Donna! I love the new format...you and Amy have done so much. 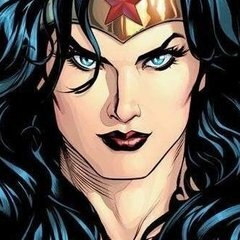 BTW, love your new avatar... so cute! I see them and I'm on an ipad 2. Thank you for posting that! It's working for me, too, on an iPad 2 and 4, browsing with Safari. I forgot to check on the real forum after it wasn't working in our test environment. Now I have to figure out what's wrong with the test forum! I've moved the social sharing buttons. They are now above the first post in a thread.